Description: ﻿The exoplanets beyond Neptune and Pluto are unknowable to us though to a certain extent they are familiar; they have inhabitants, customs, geographies, atmospheres, weather cycles, origins, and endings. Out there is life, it is other life though still life. Yellow-Seventeen is such a planet. Yellow-Seventeen is an attempt through poetry to explore the world, its customs, and its inhabitants, delve into its oceanography, and explore its history. Originally Yellow-Seventeen was to take the form of two hundred and eighty nine Senryu (Senryu being ‘human Haikus’ of 17 syllables over three lines of five-seven-five, two hundred and eighty nine being seventeen squared). This transformed into the more reasonable set of poems in the exhibition through time restraints and just plain rebellion against the restrictions I placed on myself. Each poem presented here has also been recorded as a video I have posted on YouTube. 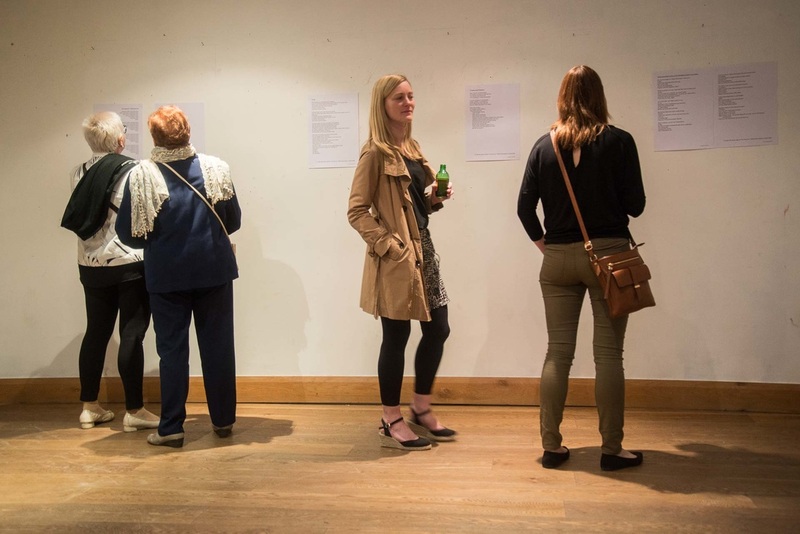 This is my first exhibition and very much the first time I have shown my poetry to more than a handful of people. It is the first time I have created videos and recorded myself reading poems. The process, like Yellow-Seventeen itself, has been a journey into the unknown. In our own way we are all Yellow-Seventian, we are unknown to each other until we explore what connects us.